Choose one of The BEST Slow Cooker and Instant Pot Turkey Soup Recipes to turn your leftover Thanksgiving Turkey into delicious turkey soup! Click to PIN The BEST Slow Cooker and Instant Pot Turkey Soup Recipes! Tomorrow is Thanksgiving Day and I hope you’ll be using some of our 50+ Recipes for a Slow Cooker (or Instant Pot) Thanksgiving to make your Thanksgiving dinner prep just a bit easier! And once dinner is over a lot of you will probably have leftover turkey staring you in the face, so I’m updating this post to give you The BEST Slow Cooker and Instant Pot Turkey Soup Recipes (plus Honorable Mentions). 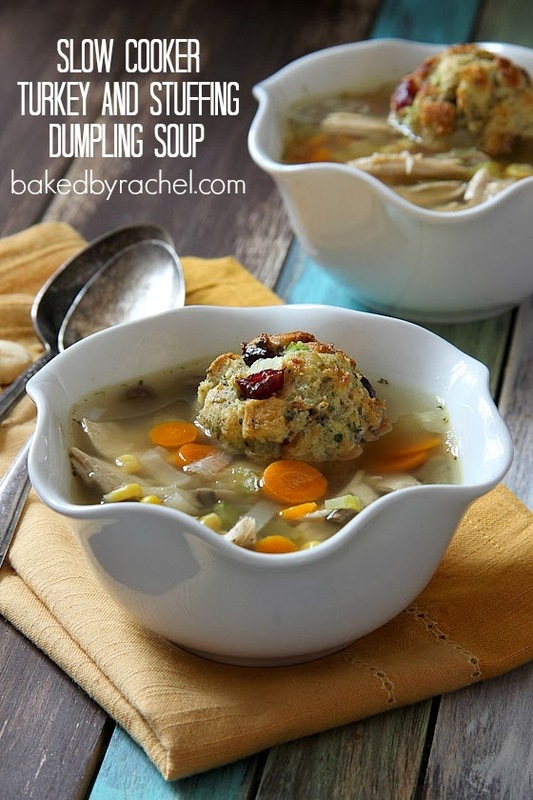 These are turkey soup ideas that are a bit more interesting than the usual carrots, celery, and noodles turkey soup variations that often show up after Thanksgiving. But before we get to the recipes, did you realize that turkey and chicken are pretty much interchangeable in soup recipes? So if you have leftover turkey, you can use a recipe that calls for leftover chicken, and if you don’t have leftover turkey you can use leftover chicken instead. You can also substitute diced, cooked turkey in pretty much any recipe that calls for cooked ground turkey, but add the cooked turkey towards the end of the cooking time so it doesn’t all shred apart. And Happy Thanksgiving weekend everyone; I hope you enjoy your day and then make at least one of the soups we’ve featured for The BEST Slow Cooker and Instant Pot Turkey Soup Recipes! At my house I’m having a huge Thanksgiving dinner with six of my siblings and a lot of extended family members! And a few of those people are staying at my house, so after I post this I’ll probably take the rest of the weekend off and enjoy spending time with my family. Hope you have a great day too. I love the sound of this Southwest Turkey Soup from The Mind “Full” Mom, and this tasty soup can be made in the Instant Pot, in the slow cooker, or on the stove! 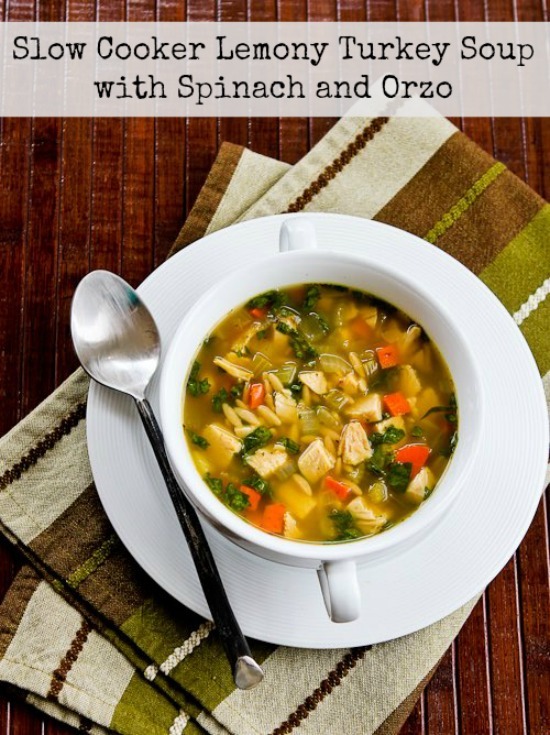 Slow Cooker Lemony Turkey Soup with Spinach and Orzo from Kalyn’s Kitchen was a hit with my sister Pam and her family when I tried out the recipe on them. You can switch out the orzo for cauliflower rice if you want a low-carb option. 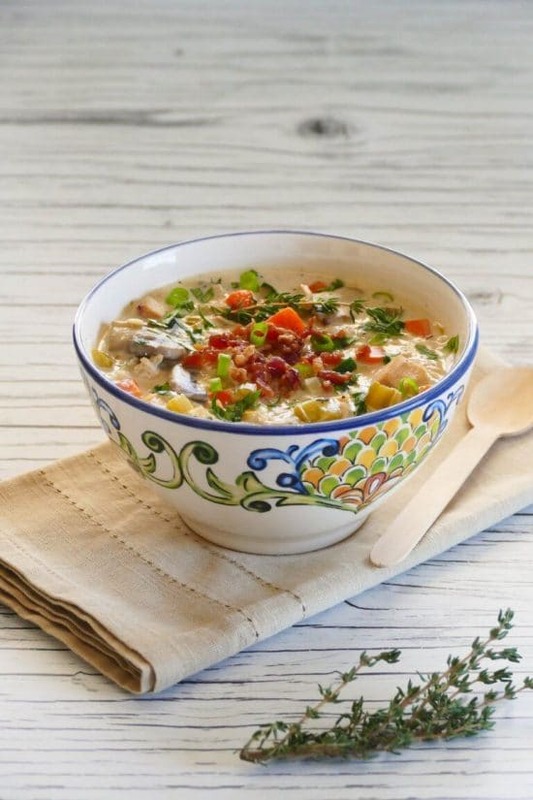 Instant Pot Turkey and Wild Rice Soup from Katie’s Cucina looks delicious, and Katie says this is gluten-free and dairy-free as long as you use gluten-free stock. I may have drooled on my keyboard a little when I spotted this Slow Cooker Turkey and Stuffing Dumpling Soup from Baked by Rachel. 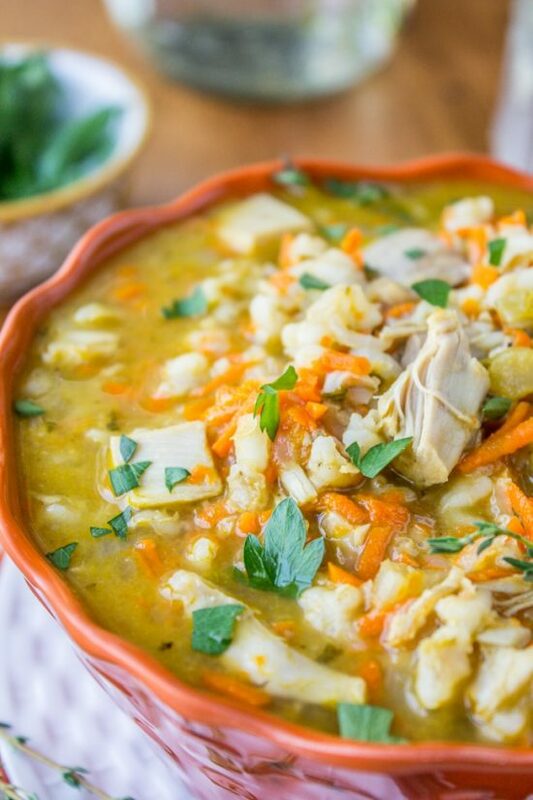 This Turkey (or Chicken) and Brown Rice Soup from Mel’s Kitchen Cafe can be made in the Instant Pot or on the stovetop. This Instant Pot Cream of Chicken Soup from Paint the Kitchen Red can also be made with leftover turkey, and Neena even shares ideas for using some leftover stuffing in the soup! 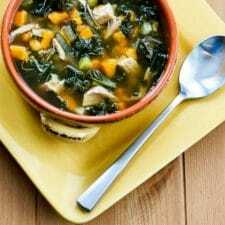 Slow Cooker Turkey Soup with Kale and Sweet Potatoes from Kalyn’s Kitchen has two of my favorite healthy ingredients! 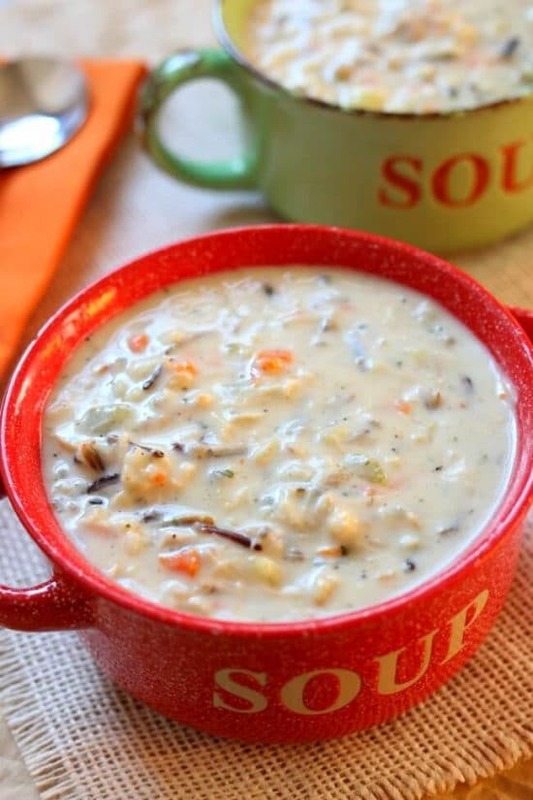 This delicious-looking Instant Pot Creamy Wild Rice and Chicken Soup from 365 Days of Slow Cooking + Pressure Cooking can also be made with turkey. And this soup has a slow cooker version as well! 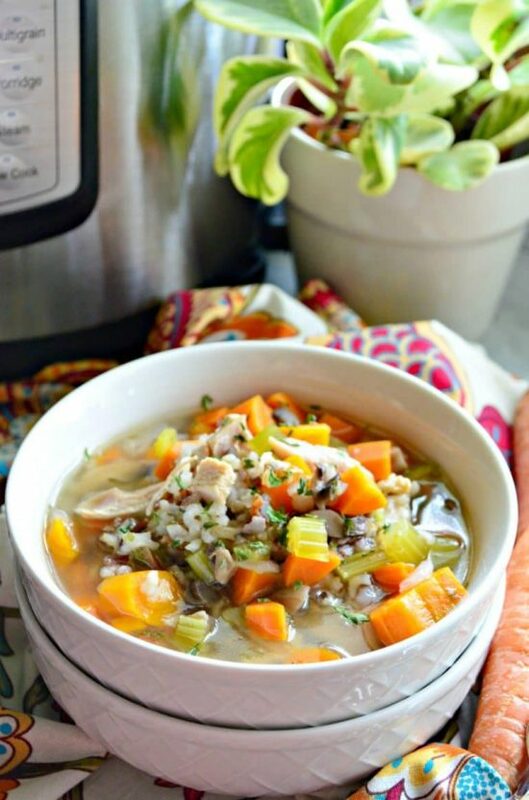 Slow Cooker Turkey Barley Soup from The Food Charlatan looks like good old-fashioned comfort food! And one more with wild rice, and I think this Instant Pot Turkey Wild Rice Soup from Upstate Ramblings looks amazing. 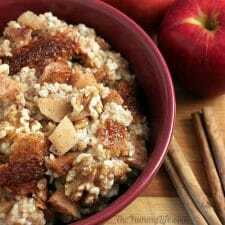 Want More Slow Cooker / Instant Pot Soup? 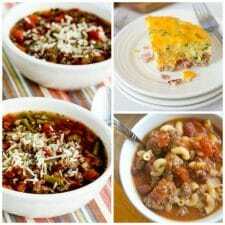 Use the Soup and Stew Index Page to see all the slow cooker and pressure cooker soup recipes that have been featured on this site. 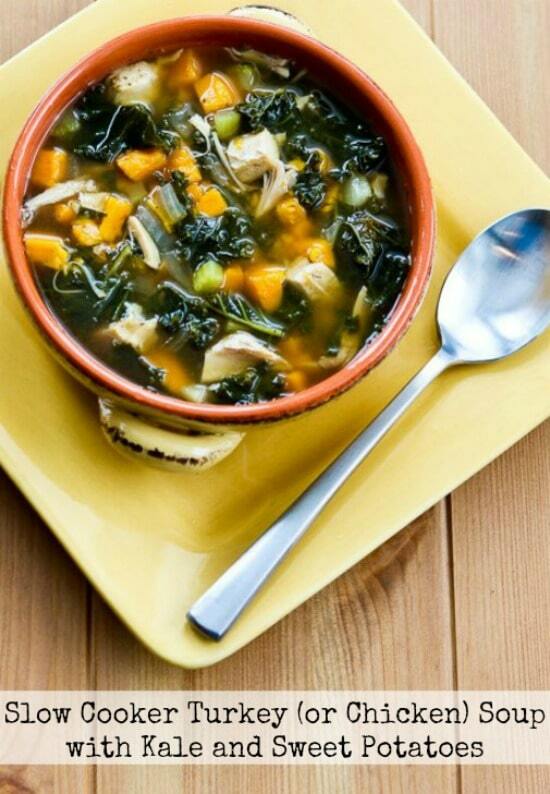 Love the idea of making soup with leftover turkey from Thanksgiving, especially with the cold temperatures this week. Thanks Jeanette. What I think I like most is the way it makes the house smell good! Kayln-I have a question. This is my first visit to the crock pot site and I am slightly confused. Are these supposed to be "diet friendly" recipes or only if they say so in the labels at the bottom? Looking at some of these I don't think they're obviously diet even though they all sure do look good! Susan, you can sort recipes by diet type by clicking Recipes by Photo and picking the type of diet you want. And the tagline "Healthier Recipes from Food Blogs" refers to the idea that these recipes don't contain processed foods, therefore they are "healthier" than many crockpot recipes out there. But definitely not every recipe is suitable for all diets. What a fabulous round up! Thank you for sharing my Southwestern Turkey Soup. My pleasure! That soup looks so good!